Brandon Stachulski sued the owner of an Applebee’s restaurant in New Hampshire, alleging that he contracted salmonella when he ate an Applebee’s hamburger. 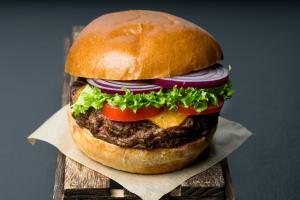 The Applebee’s owner argued that Stachulski could not prove that its hamburger was the source of the salmonella. The owner argued that Stachulski could have been infected by his pet lizard or other sources of salmonella bacteria. The jury found in favor of Stachulski and awarded him $750,000 in damages. On appeal, the Applebee’s owner challenged the trial judge’s decision to admit Stachulski’s expert evidence. The New Hampshire Supreme Court ruled in favor of Stachulski and affirmed the judgment. Dr. Seth Rosenbaum, an expert in infectious diseases, testified for Stachulski. Dr. Rosenbaum reviewed Stachulski’s medical records and noted that he was diagnosed with a non-typhodial salmonella infection. That form of salmonella is typically food-borne. After eating the Applebee’s hamburger, Stachulski became ill within the time frame during which symptoms of a salmonella infection would typically appear. Stachulski’s brother-in-law dined with Stachulski and also ate a well-done hamburger. Stachulski and his brother-in-law became violently ill at the same time, a fact that pointed to the hamburger as a source of the illness. Dr. Rosenbaum thought it was unlikely that Stachulski contracted salmonella from his lizard because other family members had contact with the lizard but did not become ill. Other family members also eat the same food at home that Stachulski’s wife prepares. The fact that they did not become infected tended to rule out a home-based source of infection. Stachulski’s wife has a health condition that, in Dr. Rosenbaum’s opinion, would make her susceptible to a salmonella infection. The fact that she did not become ill strengthened the inference that Stachulski’s home could be ruled out as the source of Stachulski’s salmonella infection. New Hampshire follows a version of the federal Daubert test for determining the admissibility of expert evidence. To be admissible, the evidence must meet a threshold of reliability. Reliable expert opinions are based on sufficient facts or data, are the product of reliable principles and methods, and result from the reliable application of those principles and methods to the facts of the case. The state supreme court emphasized that the New Hampshire rule is interpreted liberally in favor of the admission of expert testimony. The proponent’s burden of proving that expert testimony is admissible is “not particularly onerous.” If an expert’s testimony is well grounded, it should be tested by the adversary system of justice, just like the testimony of fact witnesses. It is improper in New Hampshire to exclude expert testimony out of fear that juries are incapable of weighing its inadequacies. The supreme court determined that the facts recited above were sufficient to provide a basis for Dr. Rosenbaum’s expert opinion. The court also decided that Dr. Rosenbaum reliably identified and eliminated other potential causes of the salmonella infection, leaving the meal at Applebee’s as the most likely cause. The court noted that a “differential etiology” analysis is widely accepted as a reasonable means of determining the likely cause of a disease. The defense argued that only the methods used by public health authorities to trace a disease outbreak to a particular source should be deemed reliable, because those are the only methods that have been tested and peer-reviewed, and are the only methods known to have low error rates. The fact that other or arguably superior methodologies exist, however, did not render Dr. Rosenbaum’s methodology unreliable. The defense failed to establish that Dr. Rosenbaum’s methodology was likely to lead to an inaccurate result. The appellate court therefore deferred to the trial court’s conclusion that the methodology met the threshold standard for reliability. It was up to the jury to decide whether the defense attacks upon the methodology undermined the conclusions that Dr. Rosenbaum drew. Finally, the defense complained that Dr. Rosenbaum had no basis for believing that the health condition of Stachulski’s wife made her more susceptible to a salmonella infection. Dr. Rosenbaum candidly admitted that he had no way of quantifying how much more susceptible to infection Stachulski’s wife might have been because of her condition. Even if that aspect of Dr. Rosenbaum’s methodology was questionable, Dr. Rosenbaum’s admission concerning the limits of his analysis minimized any prejudicial impact the testimony could have had. In the end, the court decided that Dr. Rosenbaum’s testimony had a reliable basis. The testimony may not have been perfect, but the law does not require perfection. To the extent that Dr. Rosenbaum’s testimony had weaknesses, the purpose of cross-examination is to expose those weaknesses. After expert testimony is tested by cross-examination, the jury’s job is to weigh its strengths and weaknesses. Juries are the ultimate judges of the facts in our civil justice system and there is little reason to believe that they are less capable than judges of evaluating expert testimony. Because Dr. Rosenbaum’s testimony satisfied a threshold of reliability, it was up to the jury to decide whether his testimony proved that Stachulski’s disease was caused by eating an Applebee’s hamburger.